Scientology is a new religion. In fact, it was the only major world religion to emerge in the twentieth century and in only sixty years Scientology has expanded from its American origin points to take root throughout the world—with new Churches opening on a routine and regular basis. 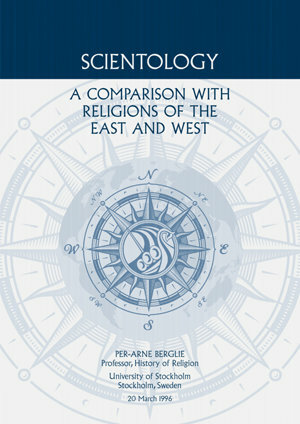 In this article from 1996, Professor Per-Arne Berglie compares Scientology with religions of the East and West. Dr. Berglie points out that every religious tradition on Earth was once considered new, implying that the difference between new religions and older ones may be simply a matter of time and social acceptance. He then examines numerous dimensions of Scientology’s religious character—for instance, the nature of auditing and training, awareness of a Supreme Being, a rich theology and path to salvation, ethical and moral teachings, ecclesiastical structures, and individual Churches themselves. Dr. Berglie concludes that while “great similarities with oriental religion exist, in matters concerning the view of human nature and formation of doctrine,” ultimately “The organisation and religious services are more reminiscent of the West and Christianity.” “Furthermore,” and more to the point, “Scientology appears fully as a religion and it is therefore natural to express the opinion that, in a community which has religious freedom, it should be provided with the facilities to satisfy the need of its adherents and members of the religious faith.” Indeed, the religious services delivered within Churches of Scientology are indispensable for the spiritual advancement of their parishioners, and Church visitors are always welcome. Per-Arne Berglie, Ph.D., is professor of the history of religion in the Department of Ethnology, Comparative Religion, and Gender Studies at the University of Stockholm (Sweden). His research interests include Buddhism and folk religion in Southeast Asia and he has published prolifically on these topics in Swedish and English, including Gudarna stiger ned: Rituell besatthet hos sherpas och tibetaner (The Gods Descend: Ritual Obsession of Sherpas and Tibetans, 1983).